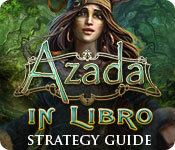 Azada: In Libro Strategy Guide is rated 5.0 out of 5 by 1. Rated 5 out of 5 by JustTheFacts from Excellent. 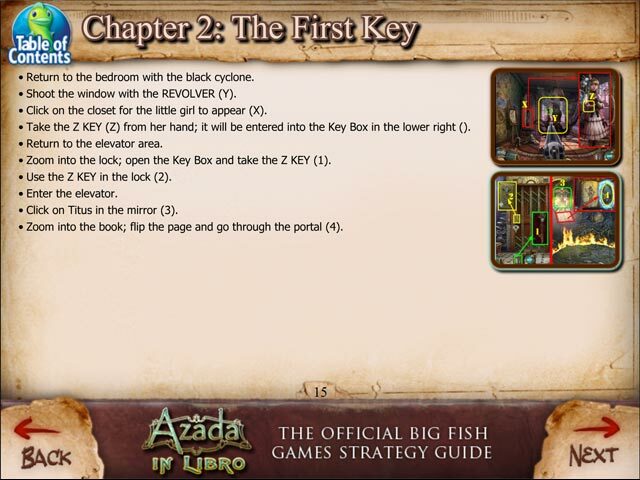 What Every SG Ought To Be BASED ON COLLECTOR’S EDITION As the Azada series is generally considered the master of the puzzle adventure, it is appropriate that the best Strategy Guide I’ve so far seen is here, in Azada In Libro. 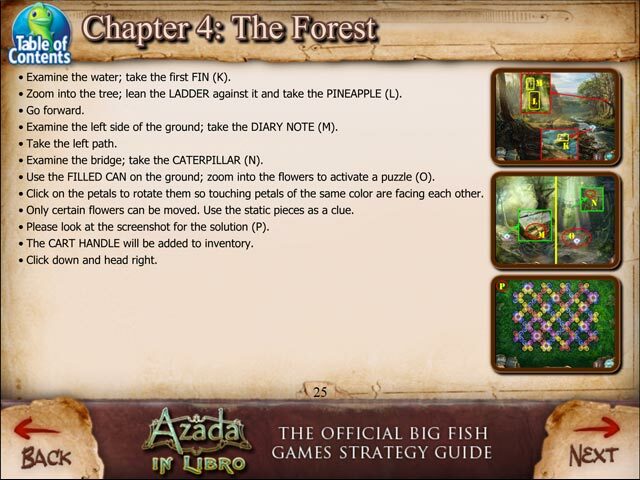 The guide offers clear step-by-step instructions and makes liberal use of screenshots and go that one step further than other SGs bother to go. 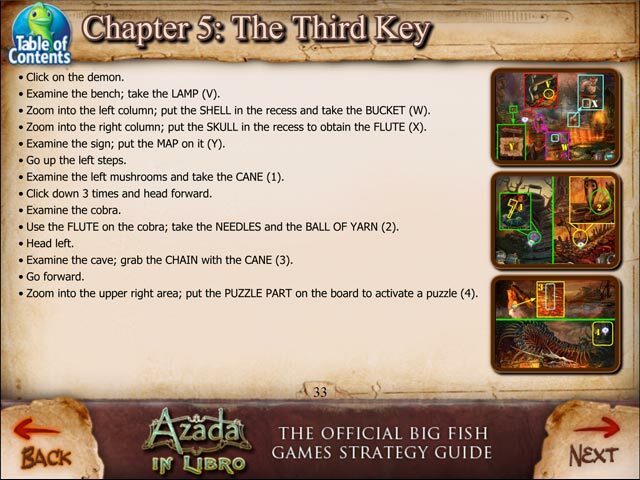 For example, in a pipette puzzle, where the starting place is random and therefore it is not possible to give specific steps, this SG offers first a general explanation of the puzzle, followed by a screenshot of a partially completed puzzle, and the moves that could be made to solve the puzzle from there. This is 100% better than the usual offering. Developers take note, (after all, who else would read this?) it CAN be done.